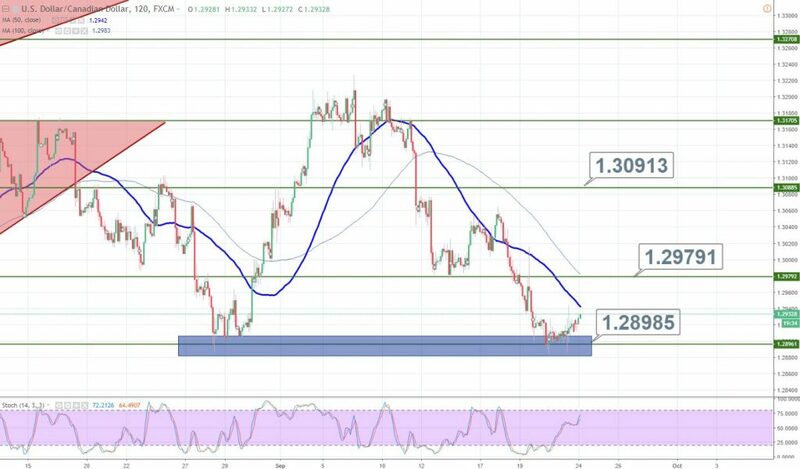 USD/CAD Tests Double Bottom – Is It Good Time To Trade? We may have a more muted session today with both Japan and China on holiday. The dollar had experienced a couple of unfavorable weeks as risk sentiment raised but we may see a return to the topside as its safe haven feature appeals to traders. That being said, it will be nice to trade the technical setups. Who’s up for it? On the 2 -hour time frame, the USD/CAD has tested and failed to violate the double bottom support near $1.2900. The same level supported the pair on Aug 18, 2018. No surprises, the US dollar is getting stronger against the Loonie and that’s because of the Fed rate hike sentiment. The idea today is to stay bullish above $1.2915 to target $1.2975 with a stop below $1.2885. Good luck!